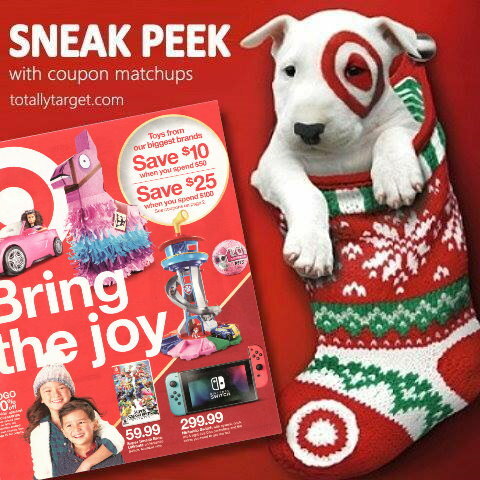 Here is the Target Ad for 12/9 – 12/15 with coupon matchups. (Go HERE to see the full ad scan and you can check out my Best Deals of the Week post HERE). I will add any more matchups to this post as I find them and if you can think of a mainstream coupon I’ve missed please let me know in the comments. If you have been thinking about getting a REDcard, starting on Sunday 12/9 it will be a great time to sign up. Thru 12/15, you can get a coupon for $25 off Future Qualifying purchase of $100+ when you apply for a new Target Redcard and are approved. The coupon will be mailed with your Redcard and will be valid thru January 20th.